CLOSEOUTS. 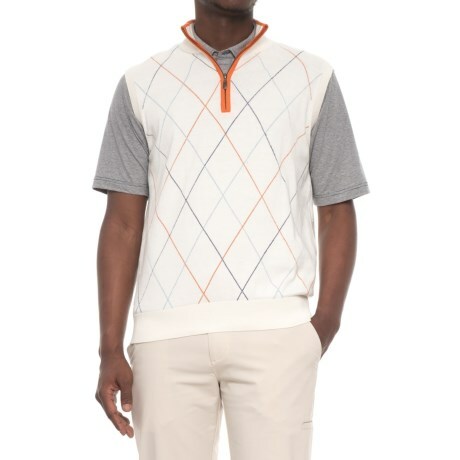 Youand#39;ll look ruggedly handsome and dapper, too in this Bobby Jones Raker golf vest, with its striking diamond pattern in front, and smooth knit blend of cotton and cashmere. Available Colors: WHITE, SUMMER NAVY. Sizes: S, M, L, XL, 2XL.